With an average monthly sale of merely 450 units (from Sept 2018-Feb 2019), the Toyota Yaris appears to have run out of steam in the race to become the best-selling C sedan. No surprise then, that, the manufacturer has been offering some great discounts on its C2-segment contender. Models from the previous year's inventory are available with offers worth INR 1.34 lakh, while even the fresh stock is on sale with discounts of INR 65,000. The Toyota Yaris is available with a petrol engine. Moreover, the manufacturer has no plans of introducing an oil-burner as 80% of the demand for C-segment sedans is for the petrol variants. While the Toyota Yaris is available in four variants, J, G, V and VX, it's only the V-spec model from the previous year's inventory that is available with discounts of up to INR 1.34 lakh. The offers include a cash discount of INR 84,000, an exchange bonus of INR 20,000, and a corporate bonus of INR 30,000. Furthermore, the J CVT variant is available with a cash discount of INR 42,000, an exchange bonus of INR 20,000, and a corporate discount of INR 20,000, all of which takes the total discount to INR 82,000. On the other hand, the base J trim with manual transmission is available with benefits of up to INR 65,000, which comprise a cash discount of INR 25,000, an exchange bonus of INR 20,000, and a corporate bonus of INR 20,000. Even the fresh stock is available with a discount of INR 65,000. The Toyota Yaris has been on sale since April 2018. Interestingly, the Yaris is presently the only C2-segmenter that is sold sans a diesel engine option. The petrol-only model is powered by a 1.5-litre Dual VVT-i four-cylinder motor that outputs a maximum power of 109 PS along with a peak torque of 140 Nm. Transmission options include a 6-speed manual and a CVT. The Toyota Yaris comes with a host of standard safety features, including 7 airbags, ABS with EBD and Brake Assist. The top-spec trim is additionally available with front parking sensors, four rear parking sensors, reverse camera, VSC, HAC, TPMS and disc brakes on all wheels. 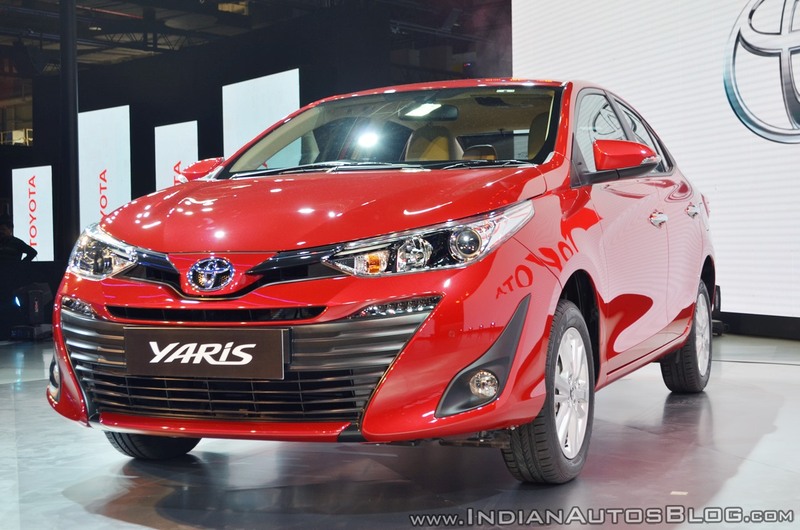 The Toyota Yaris is currently on sale in a price bracket of INR 9.29 - 14.07 Lakh (ex-showroom, New Delhi). 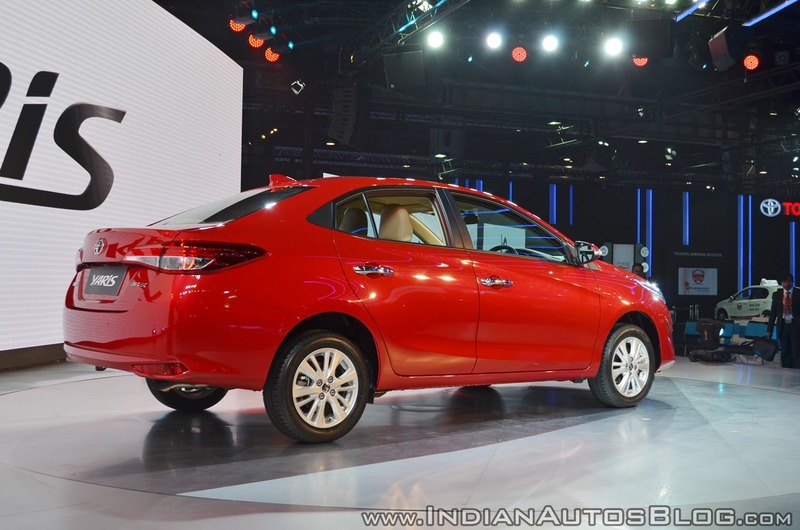 It rivals the likes of the Honda City, Maruti Ciaz and Hyundai Verna. Toyota Yaris TRD Sportivo edition showcased at GIIAS 2018, India bound?